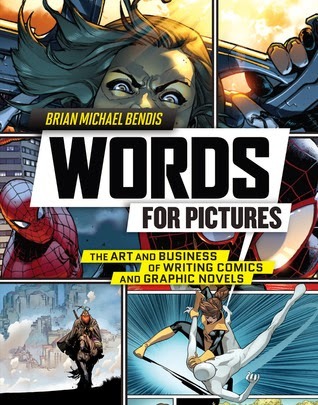 One of the most popular writers in modern comics, Brian Michael Bendis reveals the tools and techniques he and other top creators use to create some of the most popular comic book and graphic novel stories of all time.Words for Pictures shows readers the creative methods of a writer at the very top of his field. Bendis guides aspiring creators through each step of the comics-making process—from idea to script to finished sequential art—for fan favorite comics like The Avengers, Ultimate Spider-Man, Uncanny X-Men, and more. Along the way, tips and insights from other working writers, artists, and editors provide a rare, extensive look behind the creative curtain of the comics industry. With script samples, a glossary of must-know business terms for writers, and interactive comics-writing exercises, Words for Pictures provides the complete toolbox needed to jump start the next comics-writing success story. Since I got this book for my husband to review primarily I'll let him tell you more about the book - though, you should know that I did read quite a few sections in this book myself and loved it! There is a whole host of great advice for writer's and artist's alike, even if you only fall to one side of that spectrum. What We Liked: // Jared // As a novelist caught, like many, in that strange, harrowing limbo called 'seeking publishing,' managing discouragement and finding your confidence can become routine, perhaps even daily tasks. We've taken classes, we've submitted drafts for review, and we've heard all the answers there are to hear about how to get in the door and stay there. Most how-to books all contain the same information as the last six, and yet we keep buying them in hopes of gleaning that one elusive tidbit of golden knowledge that will allow us to finally ascend to the literary summit. I don't know about the rest of you, but Words for Pictures is about as close as I've come to finding that book so far. The sad thing is I probably would have skimmed it right over if not for the name on the cover. Bendis is perhaps one of my greatest inspirations as a writer working today, and this book truly carries that same in your face, honest way with words he wields like a master craftsman. I would definitely point out to everyone that this book is specifically for comic book writing and art, which is a perfectly valid medium but not the one I am currently pursuing. That said, I'd still pay full price just for excerpts from a couple of the chapters. The advice in this is timeless, and anyone working in a creative industry is better off soaking up all the information in these pages like a sponge. The first and last chapters focus primarily on writing and the middle chapters tend to stick with the more industry-specific needs such as what sort of manuscripts talent scouts work best with and how the artistic collaboration between writer and artist works best, and the answers for that are, much like in any creative field, endemic to each person. In summation, the advice inside of this book is invaluable to anyone seeking a living in a creative industry. But I think, most of all, the best thing for me that I got out of this book is the central message that you are at your best when you write honestly and when you write what you yourself would want to read. I needed that bit of advice right when this book crossed my path, and I believe it may very well impact yours too. // Sarah // That first and fifth chapter though! So much great advice for writers, and comic book artists alike. It's simple and short, yet profound passages like this one that really blew my mind: "Write true. Write honest. That in itself is success." A lot of the writing advice that Bendis presents in Words For Pictures was just what I needed to hear . . . that success is a fickle mistress, that fame isn't what writing and making comic books is all about, and that your writing and art should be made for you and only you first and foremost, not the general populace because its what is the hot ticket story item and genre of the moment. I'm not very familiar with script writing myself, as I usually stick to poetry and fantasy fiction, but I was quite impressed by the chapter on script writing. The art in the book was great too - though the chapters on writing and business were a bit more to my specific tastes. What He Didn't Like: Try as hard as I might, I had a very difficult time finding flaws in this book, it really nails everything it sets out to do and comes with advice from the best in the business. If I had to nitpick, I could point out that it was penned by a Marvel comics author and that does mean that it takes from primarily Marvel and 3rd party publishers such as Dark Horse Comics. So, if you are a DC lover by heart, you may be disappointed by the lack of representation here. Also, it does cover a wide range of subjects and may not delve as deeply as desired into the particular one you yourself might be interested in, most only get a chapter and an excerpt from a guest writer involved in the field being discussed. Outside of that I can find little in the way of flaws or nitpicks. Would We Recommend This Title? Most definitely. We both agree that we think an assortment of comic lovers, geeks, writer's and artist's alike will all be able to have a great takeaway from Words For Pictures. About the Author: A comic book writer and erstwhile artist. He has won critical acclaim (including five Eisner Awards) and is one of the most successful writers working in mainstream comics. 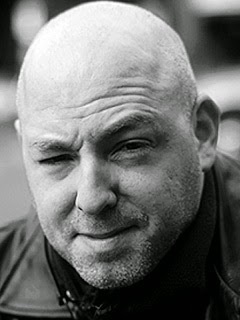 For over eight years Bendis’s books have consistently sat in the top five best sellers on the nationwide comic and graphic novel sales charts.